Currently the fifth largest donor to the UN’s development agencies — and holding the Presidency of the G7 comprising the world’s leading industrialized nations– it is planning to run for a non-permanent seat in the UN Security Council for 2021-22. Host to the 7th International Parliamentarians’ Conference (ICPI) on population and development in Ottawa last week—and having hosted the first such meeting in 2002 – Canada has also launched a Feminist International Assistance Policy (FIAP). Sandeep Prasad, executive director of Action Canada for Sexual Health and Rights, says Canada is repositioning itself as a leader on gender equality, women’s rights and sexual and reproductive rights, which includes FIAP, and hosting the upcoming Women Deliver conference, scheduled to take place in Vancouver in 2019. “For Canada’s commitment to be truly lasting, continued support is needed for the feminist and human rights advocates working with their decision-makers at all levels of government to establish and protect laws, policies and programs that safeguard these rights,” said Prasad. 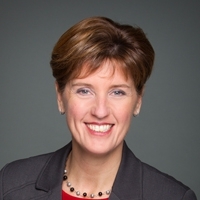 Leading the fight for women’s rights, gender empowerment, and sexual and reproductive rights is Marie-Claude Bibeau, the Canadian Minister of International Development, who is also a strong advocate for increased development financing. In an interview with IPS, she said international events like IPCI can be a strong catalyst for mobilizing people, ideas and resources. “This is why the IPCI Conference is so important – – it provides a unique opportunity for parliamentarians from around the world to gather together to discuss their role in implementing the ICPD Programme of Action,” she said. Canada, the minister assured, will continue to be a strong and vocal advocate for the achievement of the goals set by the 1994 International Conference on Population and Development (ICPD), including universal sexual and reproductive health and rights (SRHR). “We are also very pleased to be hosting the Women Deliver Conference in 2019, which is not only a conference, but a movement to empower women and girls and build a better world,” she added. IPS: Canada is currently the 5th largest donor to the UN system. But with the US making drastic cuts — including a reduction of $300 million to UNRWA and $69 million to UNFPA — is there any possibility that Canada, along with other Western donors, would step in to fill this gap? MINISTER BIBEAU: Canada is committed to providing humanitarian assistance and responding to the needs of the poorest and most vulnerable. This is why I was proud to announce, on October 12, 2018, Canada’s support of up to $50 million over two years for Palestinian refugees through the United Nations Relief and Works Agency (UNRWA) for Palestine Refugees in the Near East. This new funding to UNRWA is urgently needed and will help improve the lives and protect the human dignity of millions of Palestinian refugees. Canada is also a longstanding partner with the the UN Population Fund (UNFPA), and among UNFPA’s top 10 bilateral donors. In 2017/18, Canada provided $142 million in International Assistance – helping further to cover UNFPA’s funding gap. IPS: The developing countries — and specifically the 134 member Group of 77 in its ministerial declaration at the UN last month — complained of a downward trend in official development assistance (ODA) — with increased resources being diverted to refugee funding. Does this also apply to Canada, whose ODA of 0.26 to gross national income (GNI) is below the 0.7 commitment, which has been reached only by six Western donors, including Norway, Luxemburg, Sweden, Denmark, Germany and UK? When does Canada hope to reach the 0.7 target? MINISTER BIBEAU: Our partners asked the Government of Canada for three things: funding, good policy and leadership; and this is what Canada is providing. The budget 2018 announced $2 billion in new funds over five years to help implement the Feminist International Assistance Policy and support the 2030 Agenda for Sustainable Development, as well as $1.5 billion over five years starting in 2018-19 to help expand the impact of Canada’s international assistance. Canada is also leading on good policy, which is not measured by the volume of ODA, but by the quality and effectiveness of its assistance and its contributions to policy innovation that can get better results for the poorest and most vulnerable. Furthermore, as the historic investment in education for women and girls-in-crisis and conflict situations at the G7 leaders’ summit in Quebec demonstrates, Canada is creating momentum around various initiatives and leading other countries and partners to make significant investments, notably in girls and women’s education, in fragile, conflict and crisis contexts. IPS: As the current G7 president, Prime Minister Justin Trudeau presided over a summit in June this year which committed a hefty $3.8 billion Canadian dollars (CAD) to advance education for girls and women in the world’s battle zones. What would be the time span for disbursing these funds? Has it already got off the ground? MINISTER BIBEAU: Canada was proud to lead the unveiling of a historic $3.8-billion investment in girls’ education at the G7 leaders’ summit in Quebec and to commit to an investment of $400 million over three years. The announcement marked a fundamental shift toward improving access and reducing barriers to quality education around the world. We are currently working with the other countries and organizations contributing to this $3.8-billion investment (the European Union, Germany, Japan, the United Kingdom and the World Bank) to develop an accountability framework to track and report on it. Parameters such as time span, results and indicators will be included. Together, we’ll make sure the voices of women and girls are included when decisions are made on education and employment.